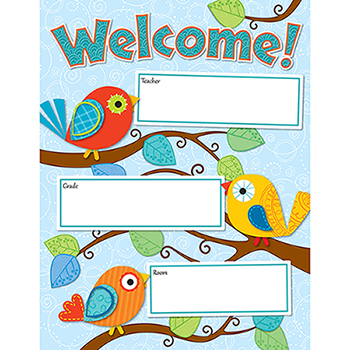 Create a welcoming, cheerful atmosphere for your classroom with this contemporary, eye-catching Boho Birds Welcome chartlet. Easy to personalize, this chartlet is perfect for conferences, open houses, first day of school, science fairs, and more! Includes one chart measuring 17" x 22". Look for coordinating products in the Boho Birds design to create an exciting classroom theme your students will love!